Are you too good for a typical pitch? 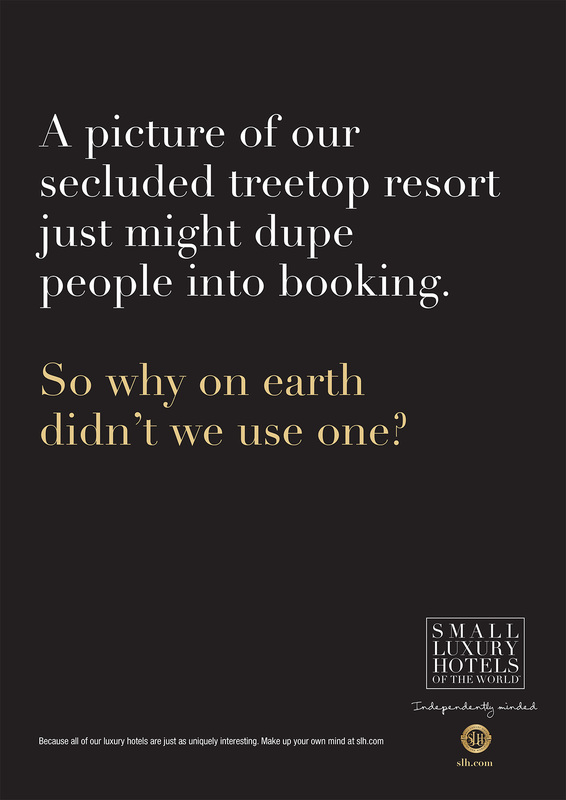 We've seen hotel advertising evolve past the typical saccharine copy and cheesy stock photos of smiling guests—for example, the Loews Hotels and Resorts campaign, which uses ordinary people's candid Instagram photos in place of professionally shot pics. 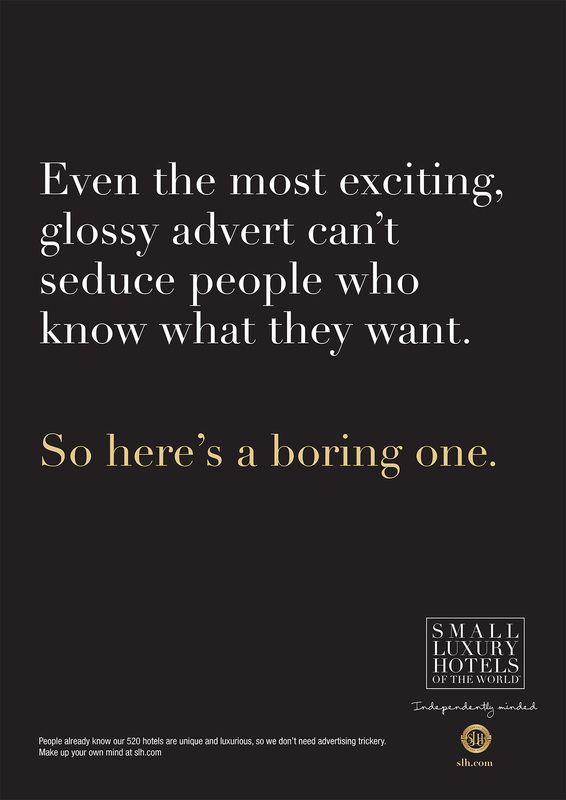 But one hotel group, Small Luxury Hotels of the World, is going a step further. 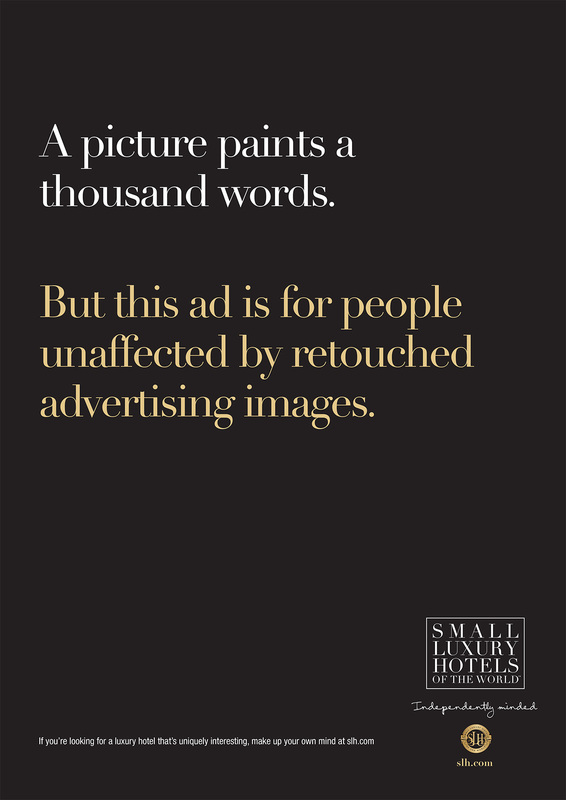 It's ditching photos entirely in its new campaign and running text-only ads that flatter the target market by suggesting they'd never fall for typical tourism marketing anyway. 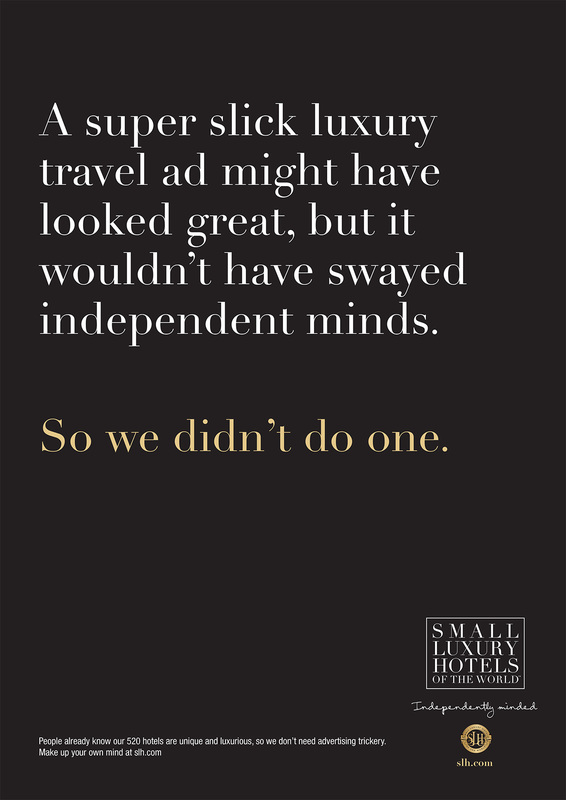 The campaign, titled "Unadvertise," features self-congratulatory copy about how SLH's clientele is too intelligent to fall for "advertising trickery" like, you know, showing what the hotels actually look like. "It's too easy to pick out an incredible image of a hotel and put a logo on it," says Tim Davis, vp of brand and marketing at SLH. 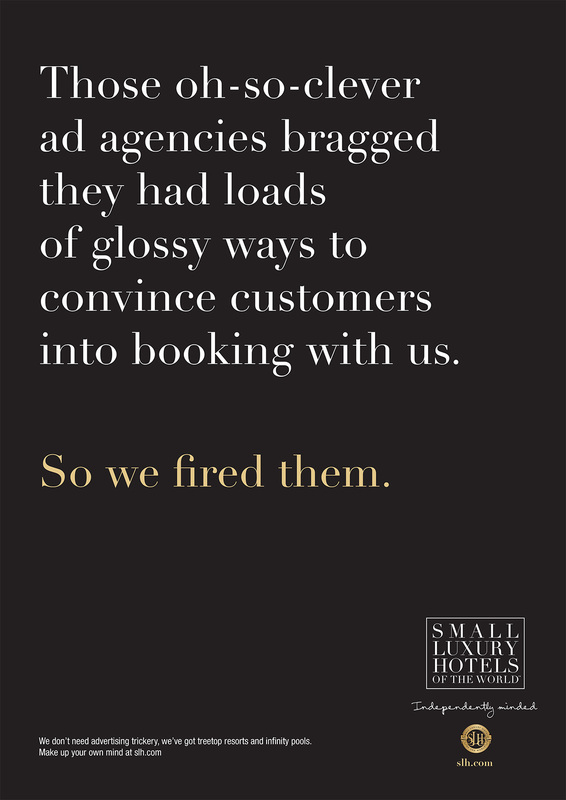 "How does that differentiate one hotel or company from any other? 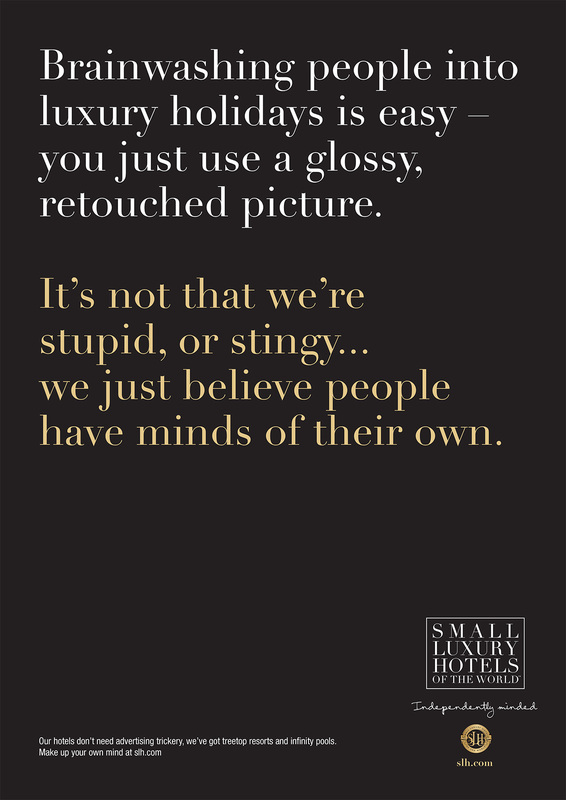 With this campaign we were looking to strike a chord with our independently minded guests, to really show the personal and authentic experience that staying at any one of our independently spirited hotels can offer." He adds: "We hope this campaign will get existing and potential guests thinking and leave their minds open to experiences and possibilities. We don't feel the need to patronize our guests to encourage them to patronize our 520 hotels around the world." 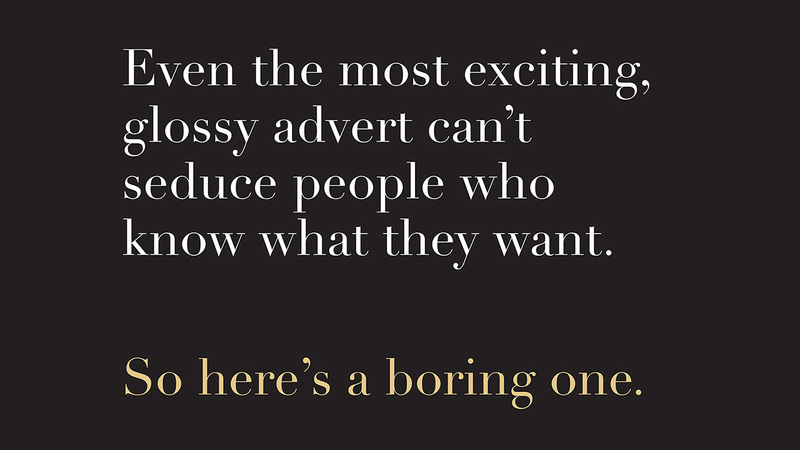 The irony, of course, is that this kind of self-conscious "unadvertising" is its own form of manipulative gimmickry. The target market is clearly meant to fall for this approach just as hard as others would fall for a more typical approach. Whether it's as patronizing as your standard fare probably depends on your tolerance for being unsubtly flattered. Indeed, some might find it more distasteful than just being shown a few nice photos and a headline. The ads will run in print and online publications targeting the affluent traveler, including Bloomberg, Departures, the Financial Times, Boisdale Lifestyle and Travel + Leisure. SLH says it's spending $1 million on the 2016 campaign, the most the luxury brand has invested in above-the-line advertising in its 25-year history.